More often than not, healthcare technology solutions address the needs of singular groups of users, each with a unique set of needs. Chronic care coordination can become complex as multiple healthcare providers are involved with each patient. 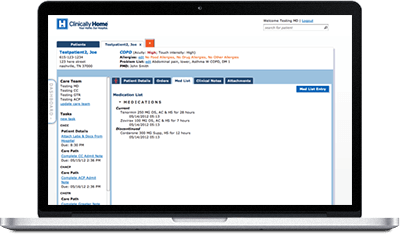 Care lags and mistakes are made when access to comprehensive information isn’t possible. 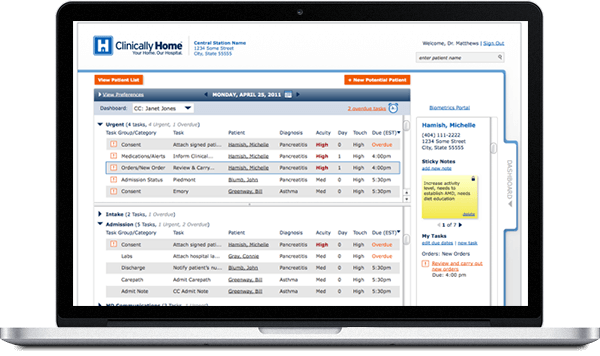 From product strategy and UX / UI design to building and deploying the application, PointClear partnered with Clinically Home to develop a web-based EMR to support healthcare providers’ administrative functions, including remote documentation, order entry, e-prescribing and document management. PointClear did an exceptional job supporting the creation of our enabling technologies for Clinically Home. PointClear has been a key partner to us providing solution strategy, user experience and development capabilities which will make the difference in our offering.